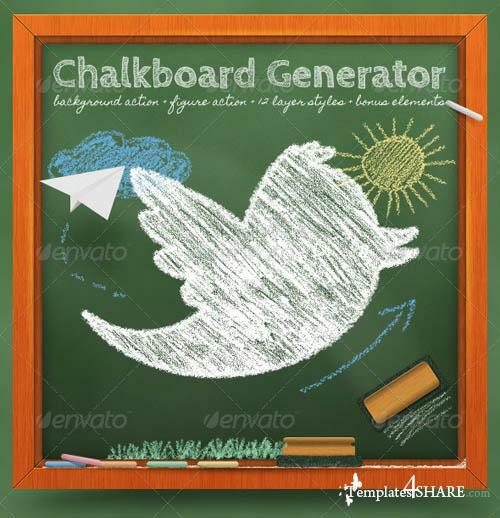 The fastest way to make your own chalkboard with one single click. You just need to click PLAY, set the canvas dimensions, set the Inner and Outer frame size and it's done. This item also comes with 30 extra actions to make your main shape/text/raster have a chalk writing look. Choose between 6 colors, or make your own easily.